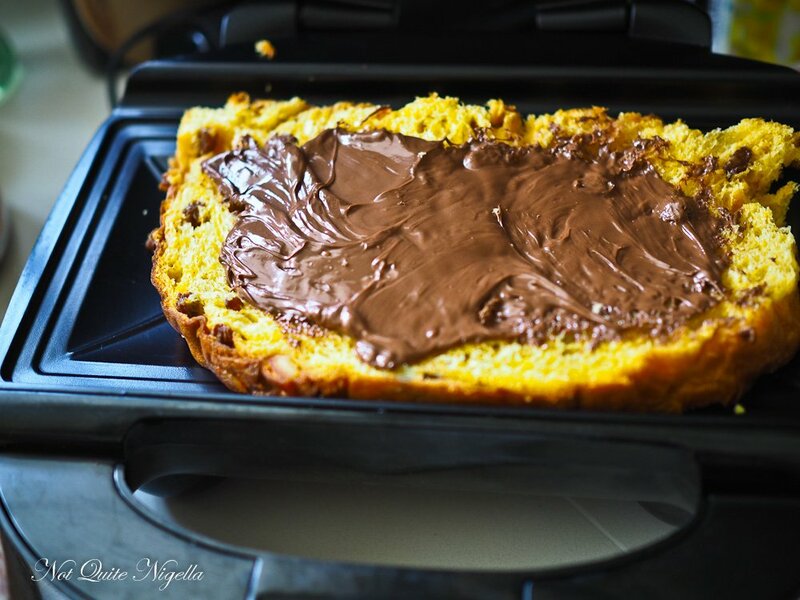 4 Delicious Ways With Leftover Panettone! Are you working your way through Christmas leftovers? 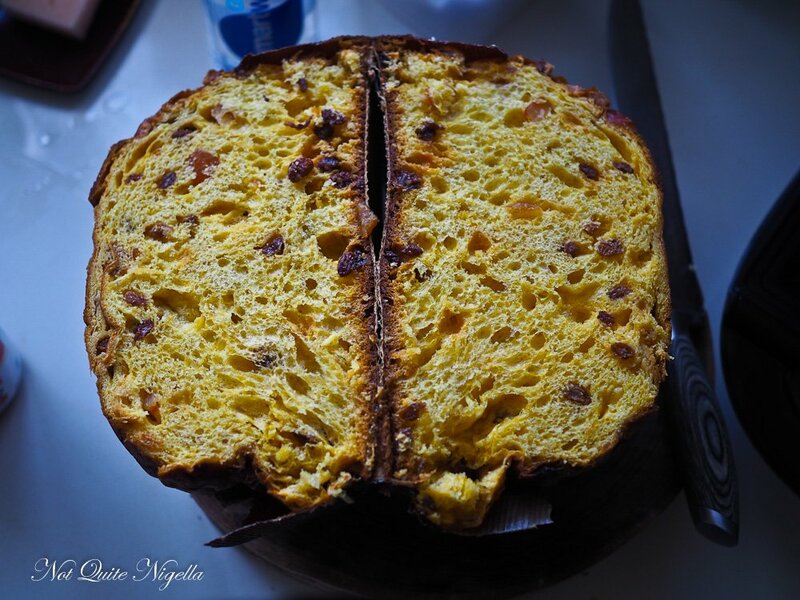 If you have an Italian panettone and are looking for ways to get creative with it, please let me offer you four delicious ways with Panettone! 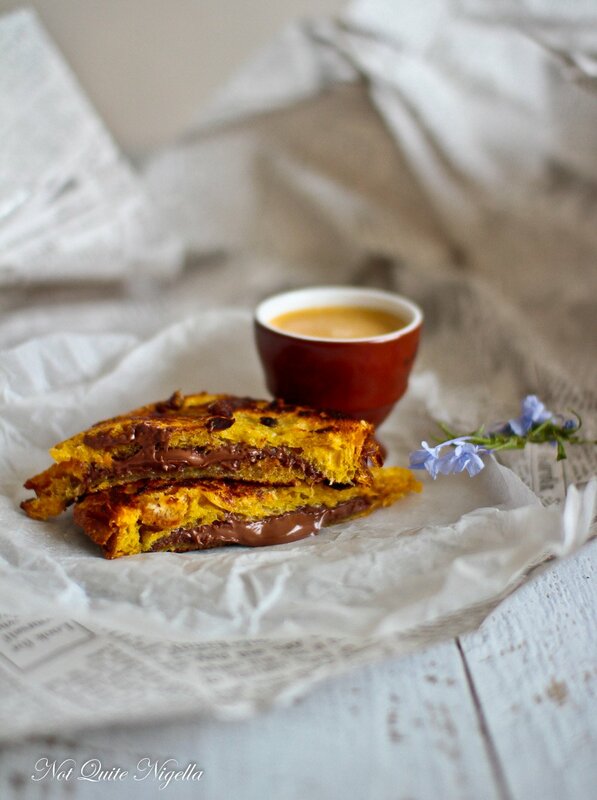 The first is the simplest way to eat it Italian style as a toasted sandwich or jaffle spread thick with Nutella in the centre (this is SO good!). The second is an ice cream, if you're feeling the effects of the summer's heat. 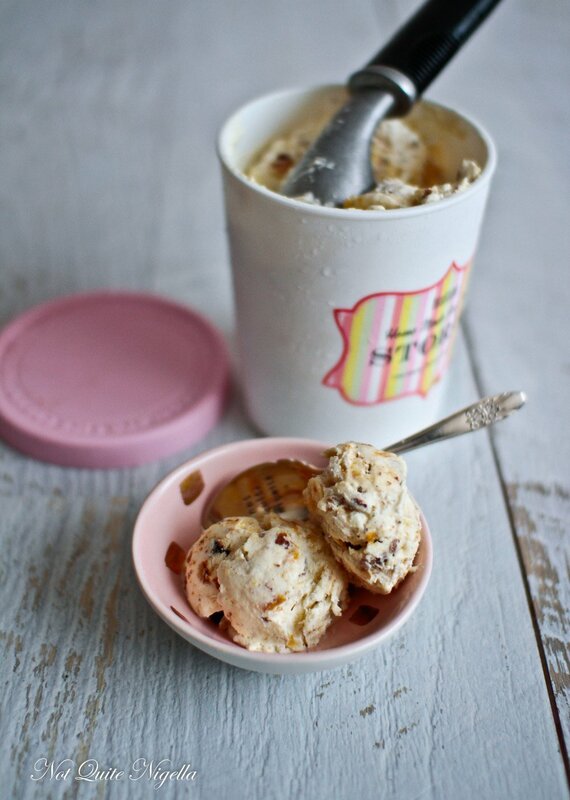 This ice cream has caramelised, toasted panettone with swirls of orange marmalade-it's heavenly. 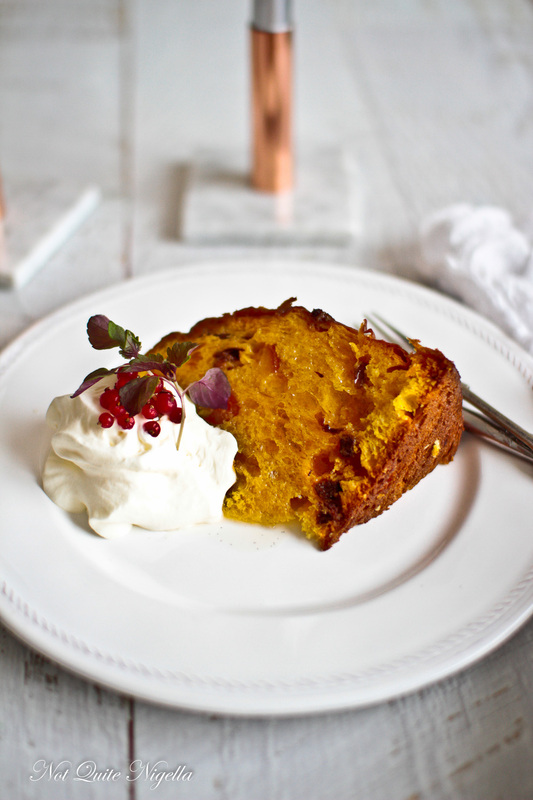 The third recipe makes making a rum au baba easy. 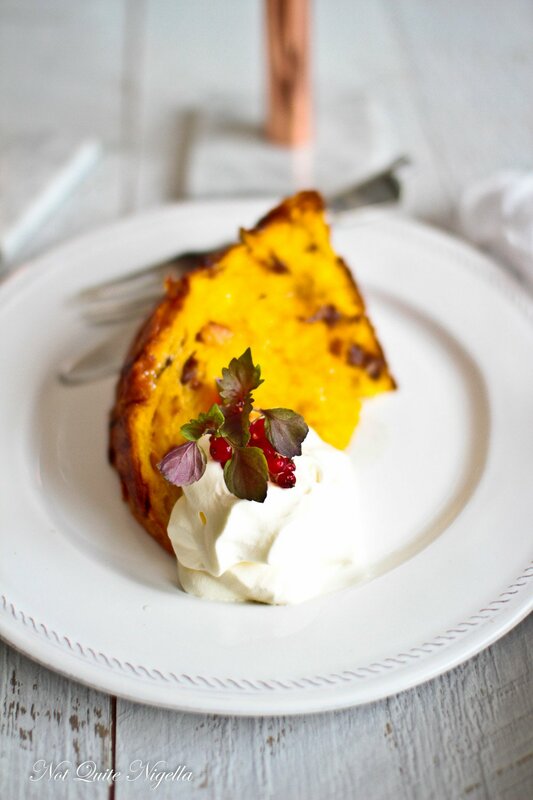 There's no need to bake the baba cake, you simple soak the panettone in a rum syrup and serve it with chantilly cream. 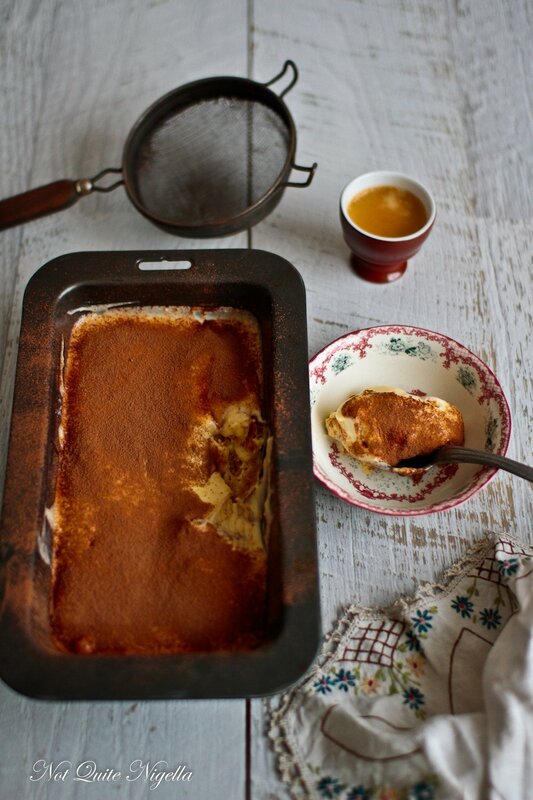 And the last is a classic tiramisu based on a fabulous recipe I got for tiramisu from Bologna Cucina in Italy in which you replace the savioardi biscuit with panettone! Truth be told, up until a few years ago I never really liked panettone. I was usually given one for Christmas by a well meaning relative (I suspect regifting) and they were usually from the supermarket which sounds terribly snobbish but please hear me out. Then one day I tried a traditionally made one and it completely changed the way I thought of this Christmas time treat. What I had dismissed as a stale bread was rich, perfumed with spice and fruit with a golden yellow colour from butter and eggs. 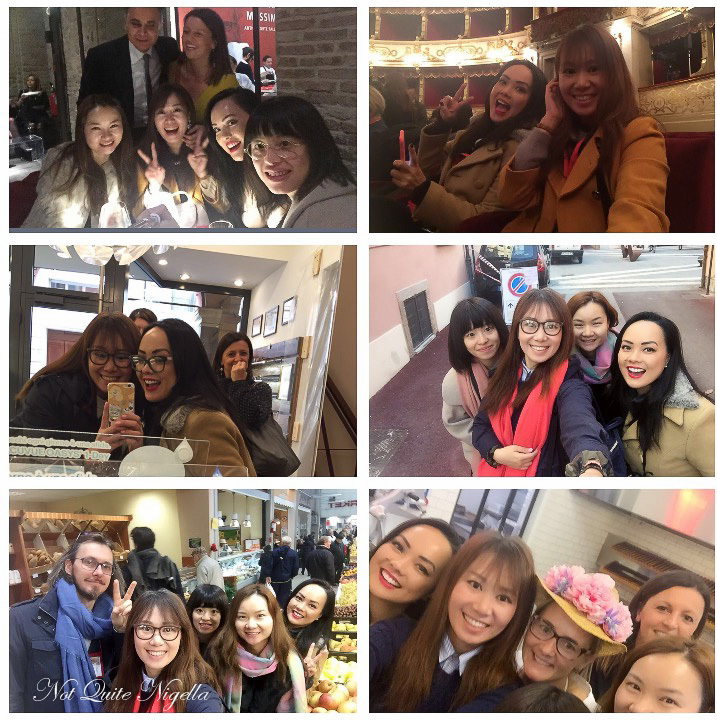 This year I was lucky enough to travel to the Emilia Romagna region of Italy. The main impetus for the trip was to attend the Michelin awards but afterwards we ate ourselves silly with all the regional goodies that Northern Italy has to offer. I was the only Australian writer in our group with three Chinese lifestyle writers. I wondered what they would be like. Would they be friendly? Would they be quiet? Outgoing? These three girls and the Italian host were utterly delightful. They were cheeky, opinionated, feisty and warm and I thought that it was nice how they enveloped me into their fold and we were soon walking arm in arm. They also made sure that nobody was left out, "We will go where you want to go, we'll go together," one said to me which was nice. And somehow we ended up being the fun group at the Michelin awards while other media groups dispersed and sat alone. We were a team. The last time I saw them was at a place called San Patrignano. It was in Rimini, a seaside province. San Patrignano is also a drug rehabilitation centre where program participants learn new skills and jobs be it in food production, wine making, leather work or graphic design. Visiting San Patrignano ended up being one of the highlights of the itinerary (I can't wait to share that story with you!) and it was because of the amazing breadth of the centre. They make so many things which they sell to keep the enormous estate afloat. But what struck me was that they were all world class products and the first thing we tried there was their panettone. There were some hanging upside down cooling, having come straight out of the oven and they had some for us to try. This panettone was so heavenly rich and buttery with just the perfect level of sweetness that I had to buy one, luggage space be damned. 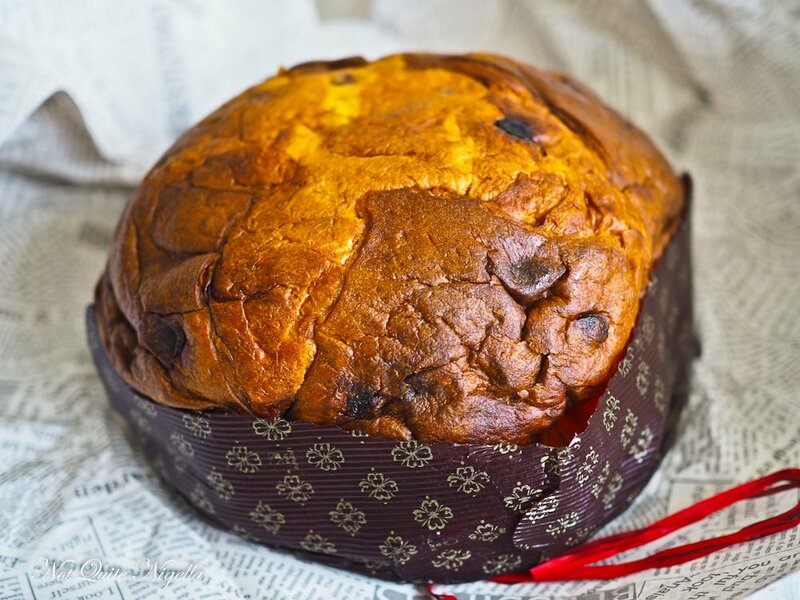 A great panettone in Australia is around $60 here as it is imported but this one was €20 or around $30AUD. At first Mr NQN groaned a little when I told him that I would be feeding him panettone for the next few days after Christmas but this amazing panettone changed his mind on it. He gobbled down all of these panettone goodies and I enjoyed it lightly toasted and buttered so much that I wished that I had bought more! Maybe that's an idea for next year. 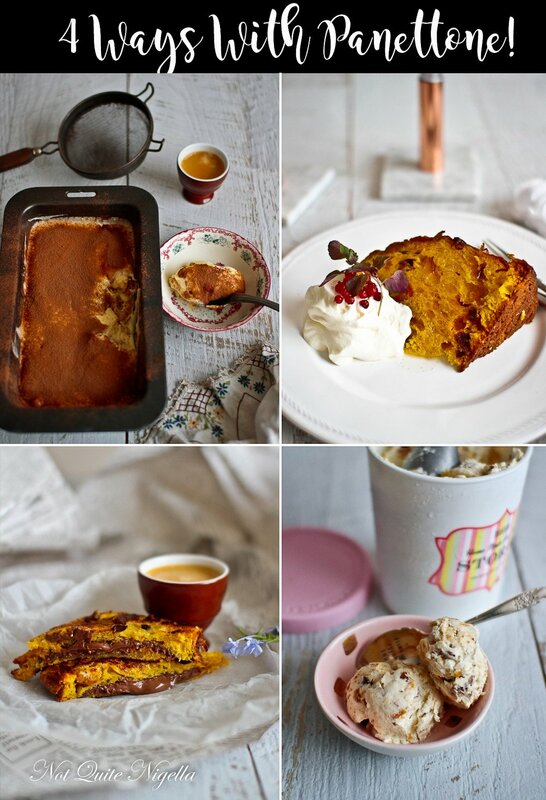 In the meantime, if you do have a leftover panettone then may I suggest these recipes? And tonight, I hope you have a truly wonderful New Year's Eve! See you in the new year (tomorrow!). So tell me Dear Reader, do you try and avoid leftovers or do you make more on purpose? 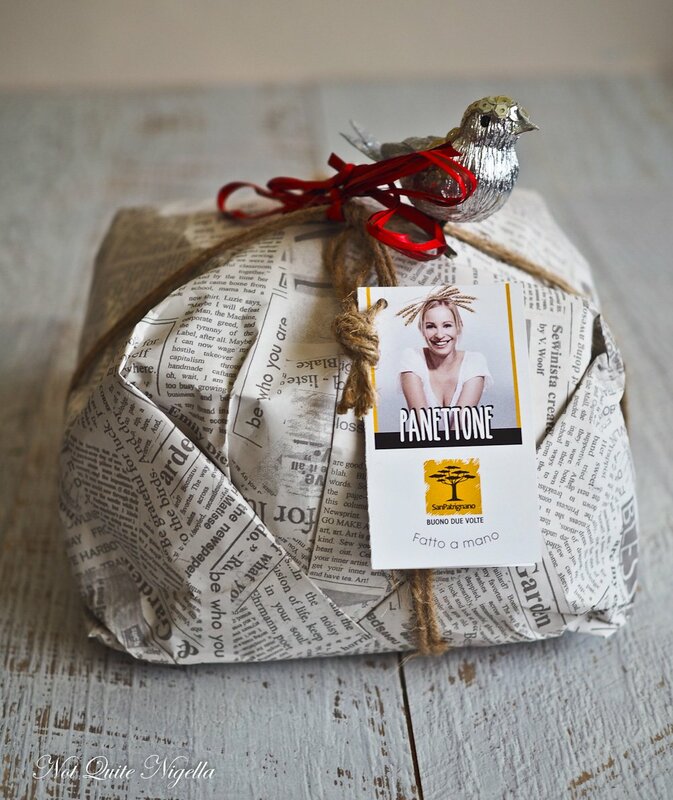 What do you think of panettone? And which recipe would you make first? Step 1 - Butter the panettone and place the first slice on the sandwich press butter side down. Spread the Nutella on the bread. Place the other piece on top butter side up and then press down and cook until golden. 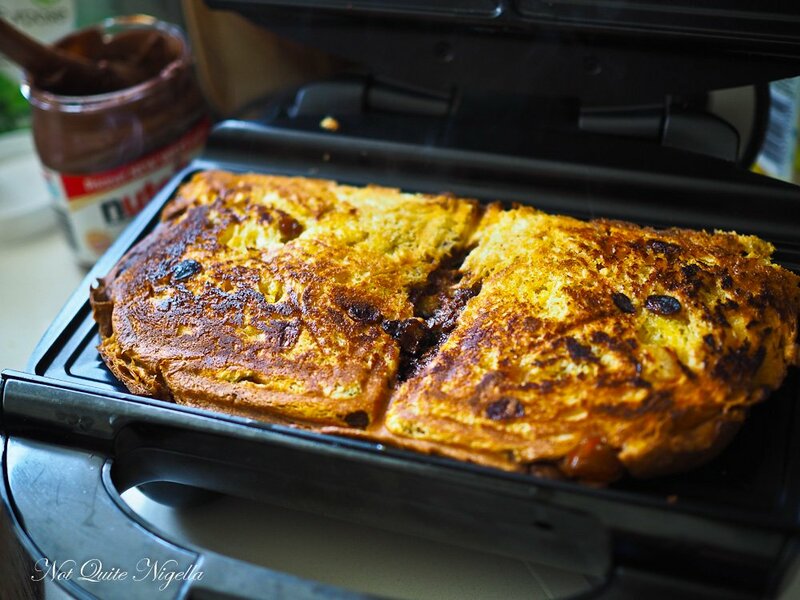 Step 1 - Toss the panettone in the caster sugar well and then toast under a grill for 2 minutes or until the sugar caramelises. Allow to cool. Step 2 - Whip the cream and icing sugar together until you get soft peaks and add in the vanilla. 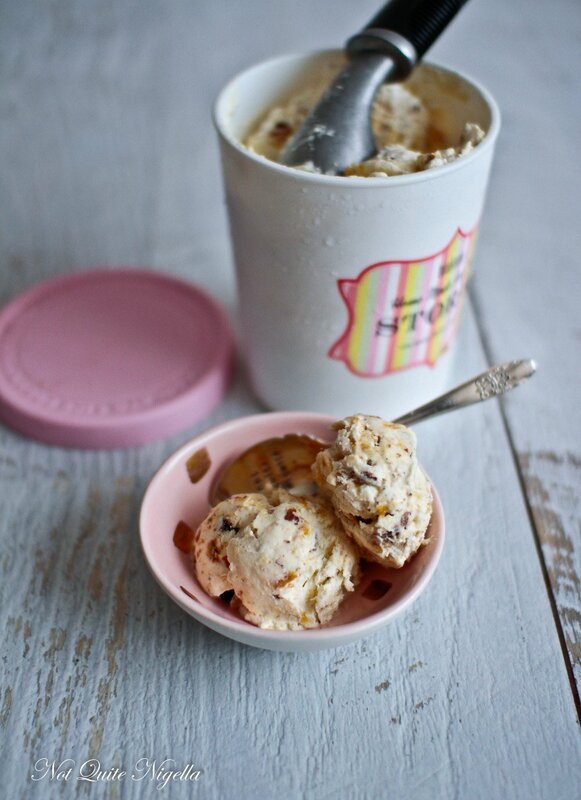 Mix with the cooled panettone crumbs and place a couple of heaped tablespoons in a freezerproof container. 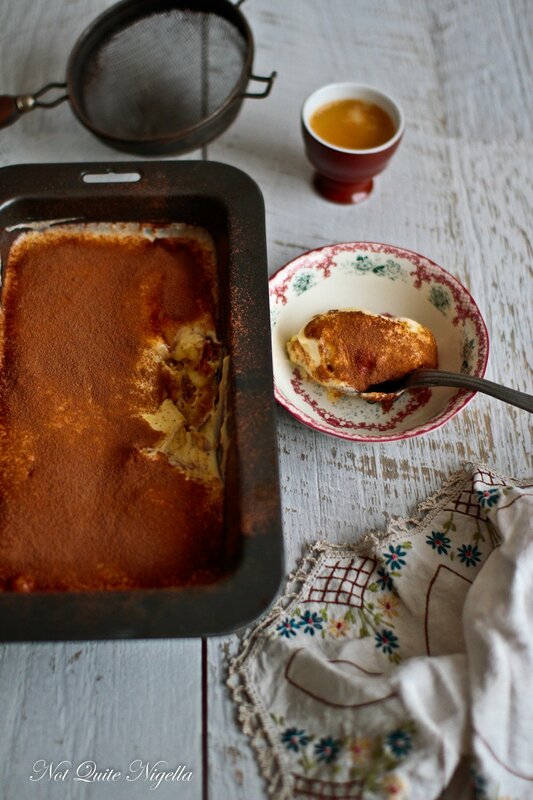 Layer with a tablespoon of marmalade and repeat until you've used all of the ice cream mix and marmalade. Freeze. Allow to ripen at room temperature for 5-10 minutes before eating. Step 1 - Place the panettones on serving plates. Heat the water adn sugar on medium high heat and allow to simmer and become thicker. Add in the rum and vanilla bean paste. Allow to cool completely. Step 2 - Whip the cream and vanilla together until you get soft peaks. Pour the syrup over the panettones and top with whipped cream. Step 1 - Whisk yolks and sugar until light and fluffy. Whip 3 of the egg whites until stiff with a pinch of salt. 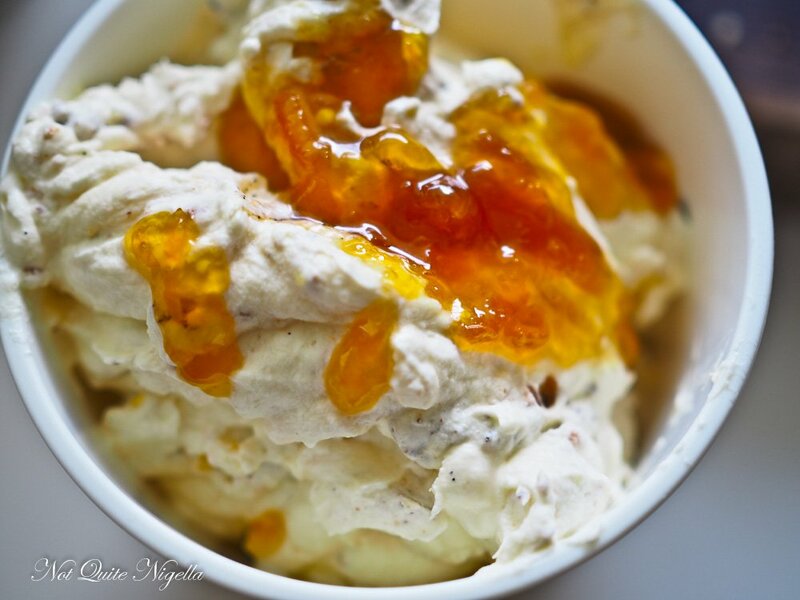 Soften the mascarpone with a whisk or a spatula and then mix the whites and mascarpone together. Mix this with the yolk cream to make a thick, dollopy cream. Step 2 - Layer some mascarpone mixture. Then briefly dip the panettone in the coffee and squeeze out excess coffee. Place on top of the mascarpone and layer with more mascarpone until done. Sprinkle with chocolate. recipeNeapolitan Macaron Ice Cream Sandwiches & Win a Woolworths Gold Goodie Box! recipe Neapolitan Macaron Ice Cream Sandwiches & Win a Woolworths Gold Goodie Box!